How can I reduce the energy lost from my current windows? According to the U.S. Department of Energy, for example, windows can account for 10-25% of your heating bill. To combat this energy loss and save money, you can make some small changes to your current doors, windows or skylights by installing more energy efficient models or making smaller changes to limit energy loss. As heat is drawn out in cooler weather—or light and heat seep in during warmer weather—energy is lost, and furnaces and air conditioners must work harder to maintain comfortable interior temperatures. How can I reduce the energy lost from my current windows, doors and skylights? Use lighter-colored or white shades, drapes or blinds to reflect heat away from the house. Keep blinds, drapes and curtains on south- and west-facing windows closed to limit heating from direct sunlight. What should I look for in new windows and skylights when I am looking to replace? Check for a low U-factor, which describes the rate at which non-solar heat flow is conducted. In general, Coloradans require a U-factor of 0.32 or less to meet ENERGY STAR guidelines. 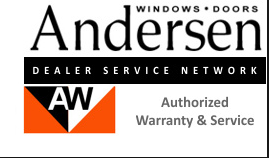 Learn about and find manufacturers of ENERGY STAR rated windows, doors, and skylights. See the U.S. Department of Energy’s windows, doors, and skylights Energy Saver’s page.